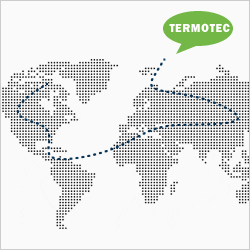 Termotec, a key player in the thermoplastic injection moulding sector, is looking to expand its business to other countries and diversify its services. Customer satisfaction and continuous improvement are the company’s core philosophies. The control of the productive processes executed by different departments, wishes, determination and full dedication, create an excellent product while providing top quality of service. The company policy of constant renovation of the machinery, in addition to a strong staff, makes Termotec a modern and competitive company with the aptitude to adapt to the new challenges of the market. The responsibility in the performance of the management team assures efficiency in the accomplishment of all services. Termotec has brand new machinery, with horizontal and vertical clamping devices.